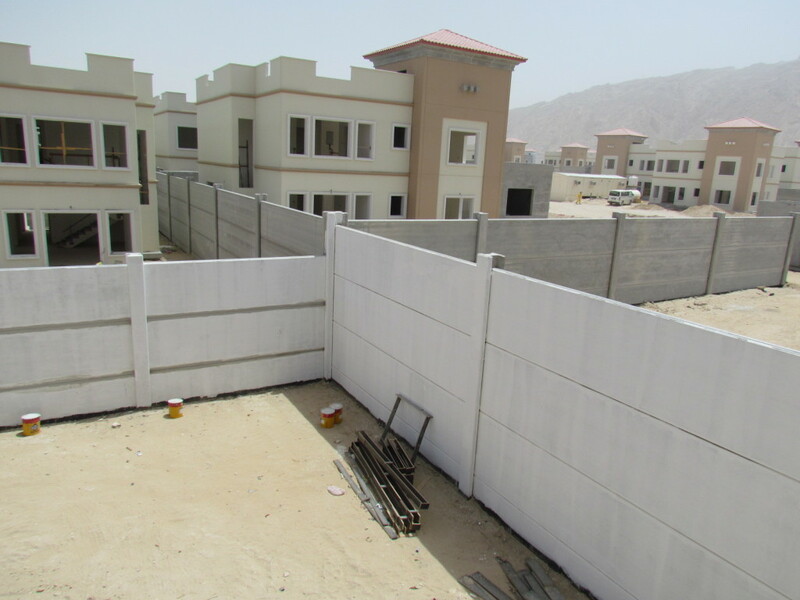 High quality since our product is produced under very strict quality assurance and quality control in a closed factory environment. 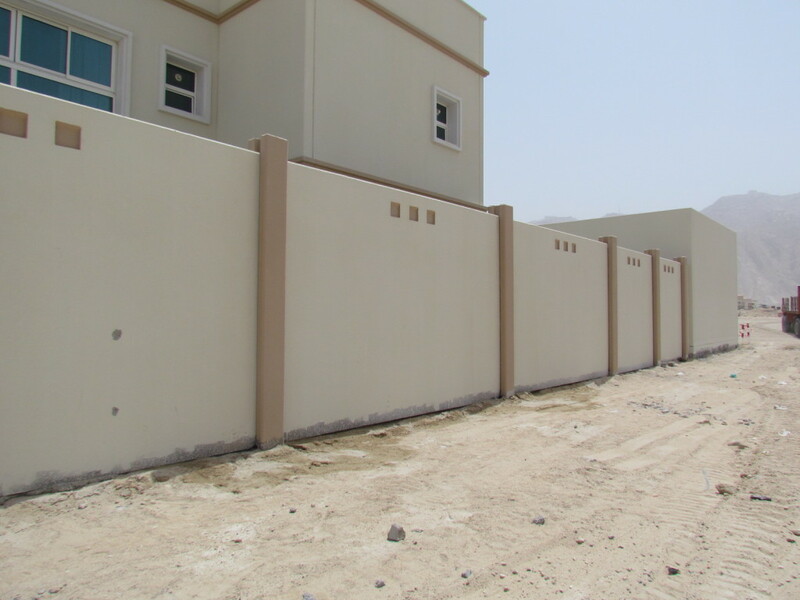 Speed of accomplishment: Our team of expert designers and erectors will complete boundary wall jobs in record time. 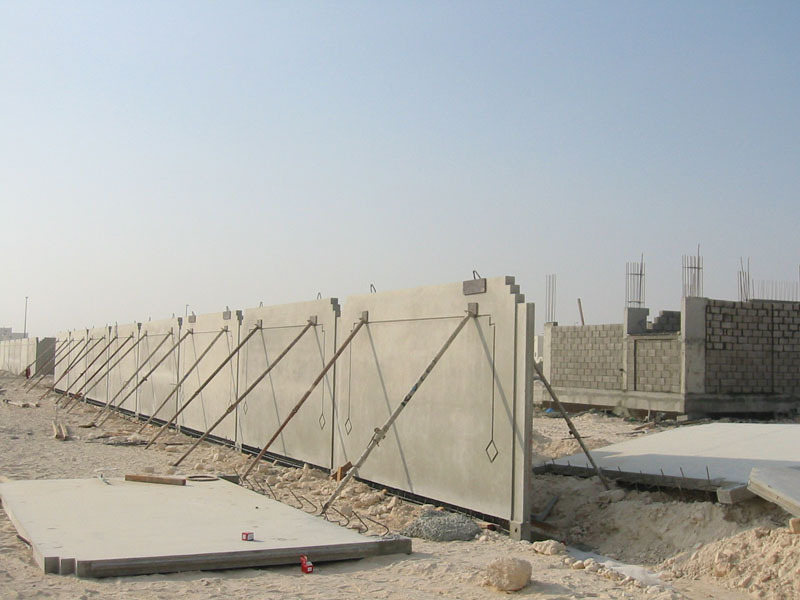 1- Precast boundary walls with different heights and appearances, using isolated or strip footing according to soil bearing capacity. 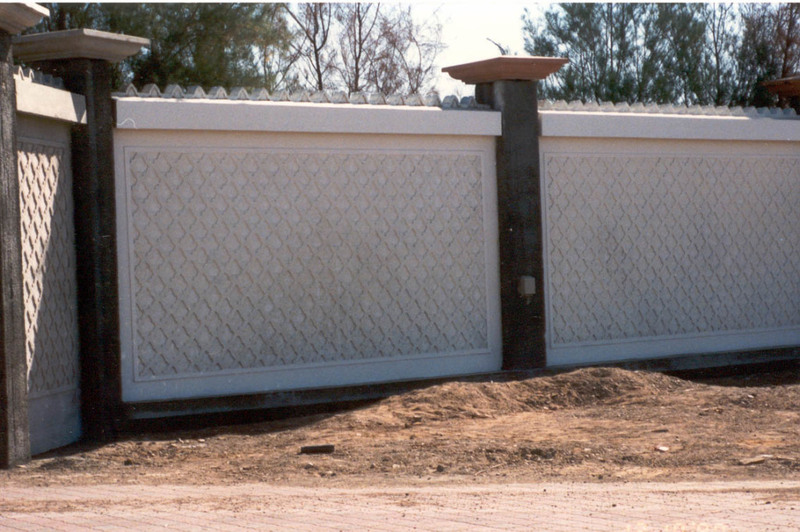 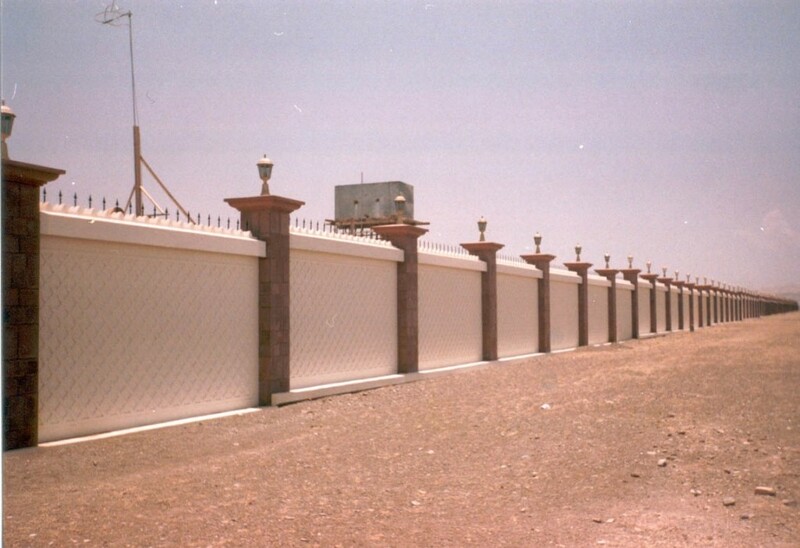 2- Hollow core boundary wall which is an economical alternative suitable for industrial activities or farms. 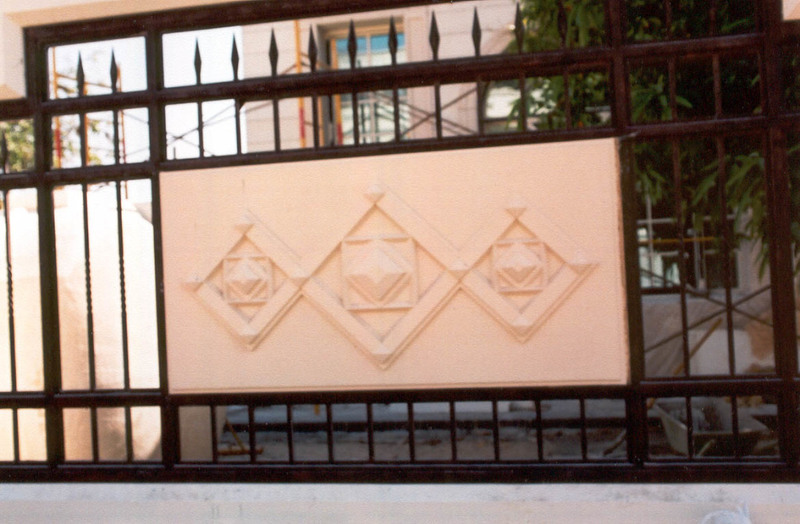 3- Combination between GRC and concrete where ornate architectural design is required. 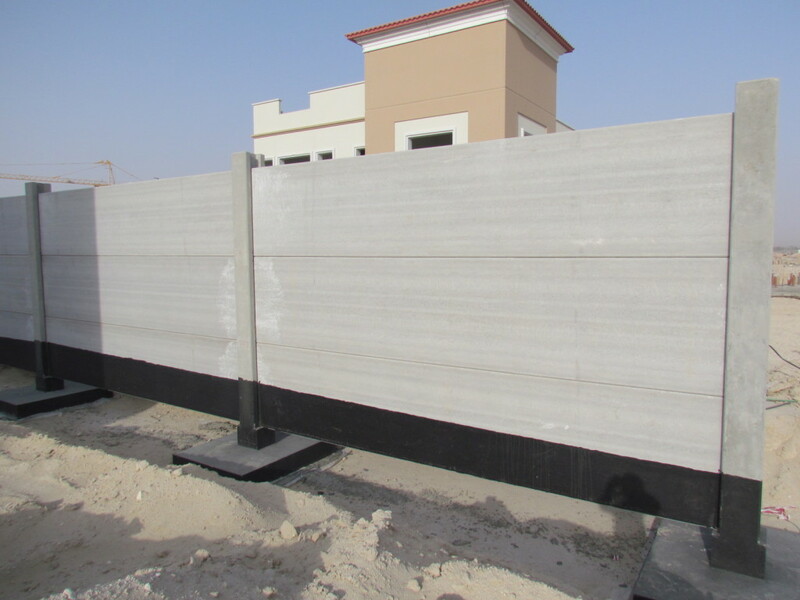 Hollowcore Boundary Wall at Emirati Housing Development, Jebal hafeet, Al Ain.